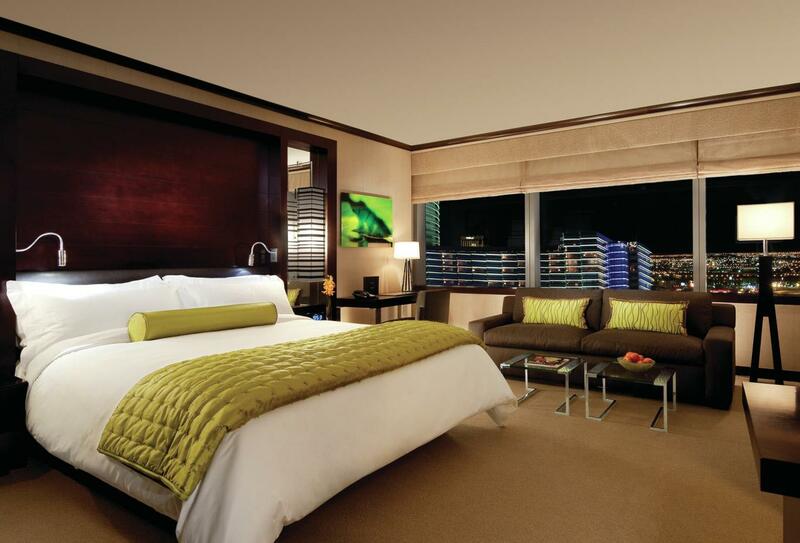 The all-suite Vdara Hotel & Spa offers the same luxury experiences of a Strip hotel but in a smoking and gambling free environment. It is situated between the Bellagio and the Aria Resort & Casino, at the heart of the impressive city centre development. The hotel is a firm favourite for business travellers and those in search of a luxurious suite with self catering facilities to act as their Las Vegas base. 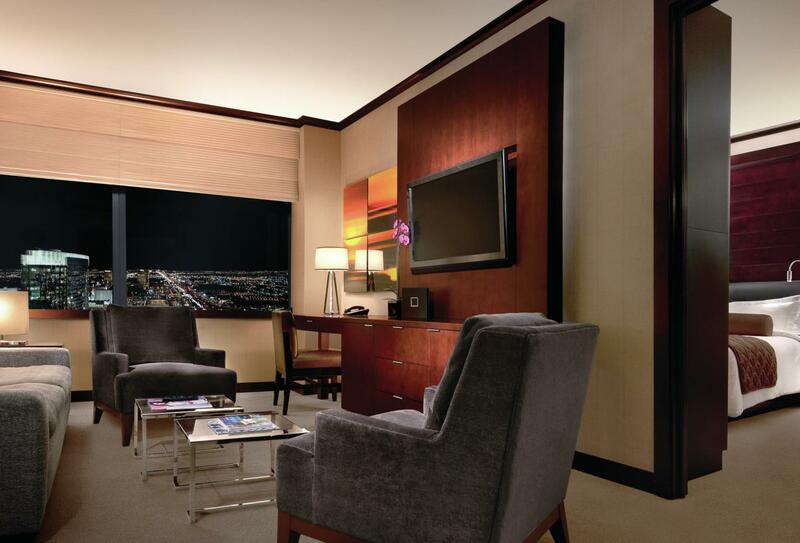 The City Corner Suite experiences a 270° view of Las Vegas. The room itself is just as stunning as the view with an expansive area including a kitchenette, modern furnishings and luxurious linens. 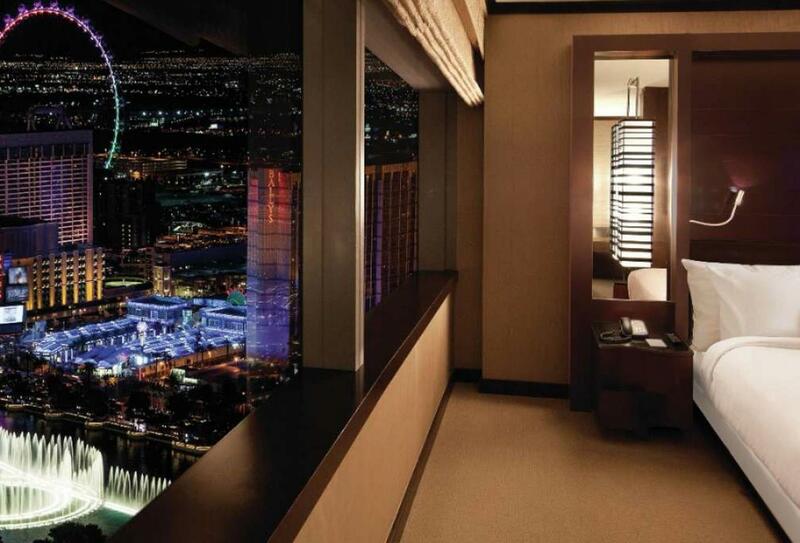 These suites give you a perfect view of the city centre and surrounding area. 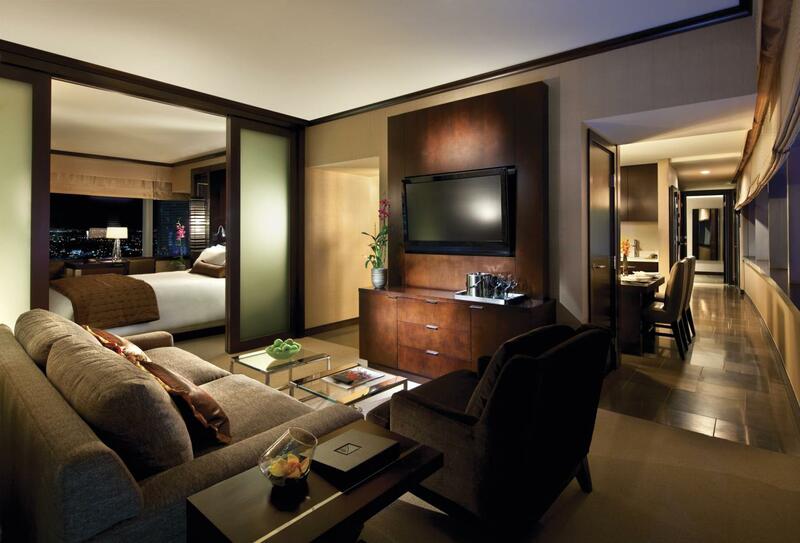 The Studio Fountain View Suite includes a kitchenette and stunning views over the Bellagio Lake or resort pools. 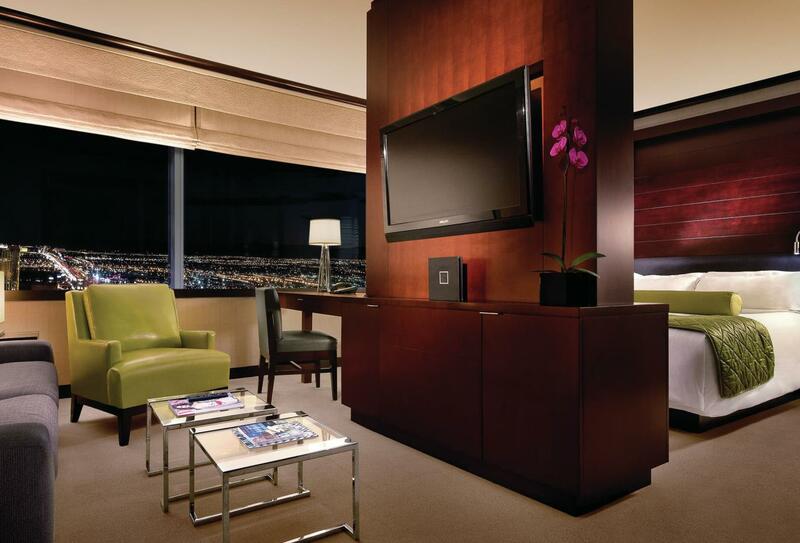 Vdara’s base suite is anything but basic, with 54 square metres of luxury including a kitchenette, stunning views and a partial room divider featuring two 42 inch LCD televisions in the living and bedroom areas. The living room has a pullout queen size sofa bed and there's also a dining table for two and a large spa-style soaking tub in this stunning accommodation. Studio style suite with a kitchenette. One bedroom suites are divided between the bedroom, spa-like bathroom, living room and kitchen complete with full-size fridge and cook top. This hotel charges a ‘Resort Fee’ to cover the use of certain facilities. 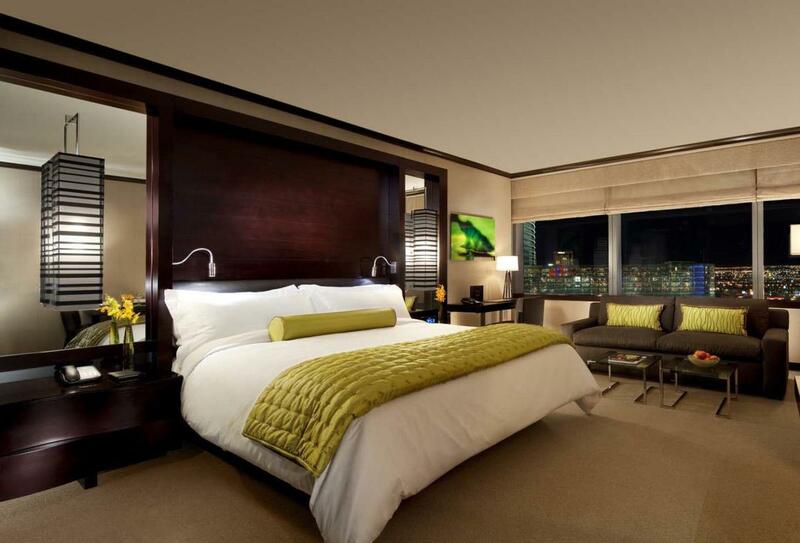 These compulsory fees are calculated per room per night and will be levied at check-in. 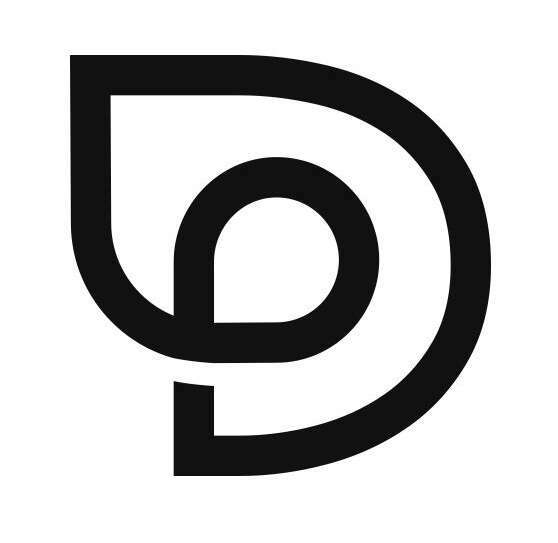 Chic and fun boutique venue with stylish aesthetics and vibrant energy. This comfortable and casual place transforms into a contemporary lounge at night. The patio boasts a lovely water feature and fire pits and serves tasty bites and cocktails. 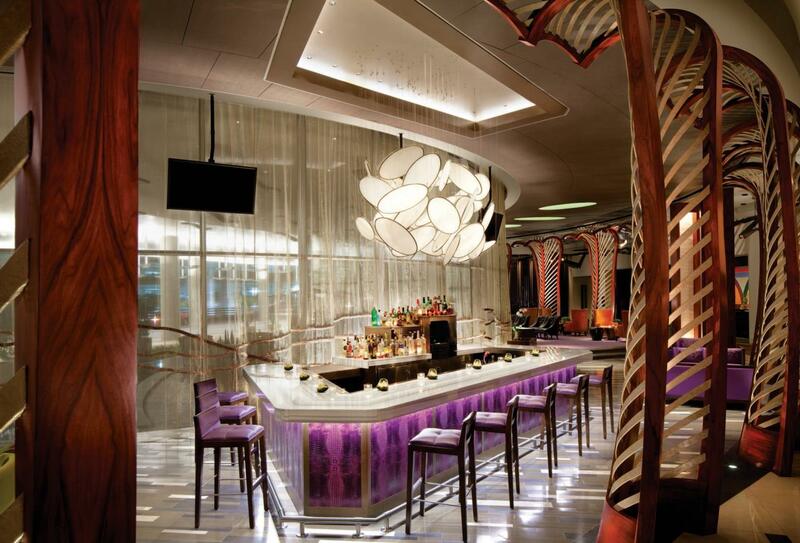 Market Cafe Vdara is a casual and cozy venue offering healthy meals, sweet indulgence, fresh fruit smoothies and more. Enjoy breakfast, lunch or cocktails poolside while overlooking the stunning views of CityCenter. Pool & Lounge Vdara Café offers traditional, yet healthy and fresh gourmet tastes in a refreshing outdoor setting. The Smoothie Bar at Spa & Salon Vdara is an ideal stop for delectable—and nutritious—smoothies, healthy snacks, juices, coffee, tea, and much more. 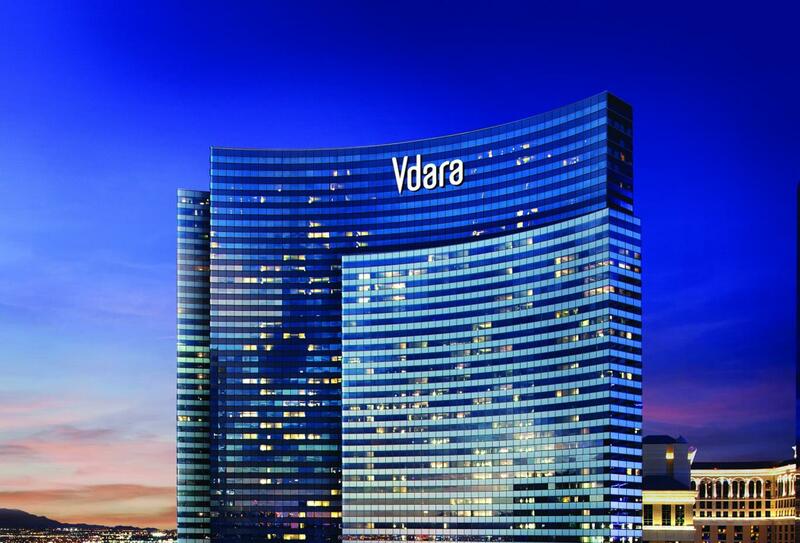 Vdara Hotel & Spa within the CityCenter complex of Las Vegas on the Strip with a host of restaurants and boutique shopping at Crystals and the casinos at Aria and Bellagio are on either side.